According to various sources, the Pittsburgh Steelers have asked the NFL league office to review a play from last Sunday’s game against the Miami Dolphins in which Ndamukong Suh appears to kick Ben Roethlisberger in the right knee. Roethlisberger is slated to miss several games after tearing the meniscus in his left knee earlier in the game, though the Steelers did also report that Roethlisberger had bruising in his right knee. Per the Pittsburgh Post-Gazette, Roethlisberger told his teammates on the field that Suh had kicked him during the play. 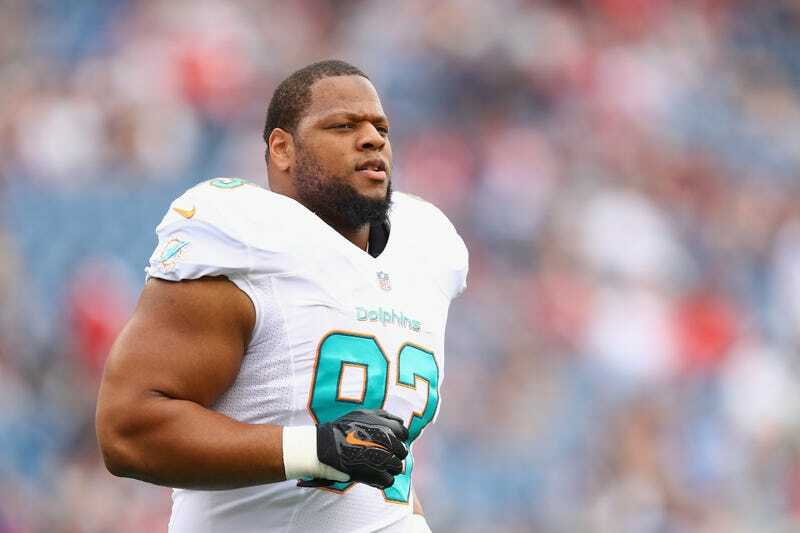 Suh, of course, has a history of using his feet as weapons. He was famously suspended in 2011 after stomping on Aaron Rogers on Thanksgiving, but has been able to more or less stay out of trouble since joining the Dolphins, though the league has reviewed his actions during a few plays (including one where he was alleged to have kicked Ryan Fitzpatrick in the head) while he has been in Miami.